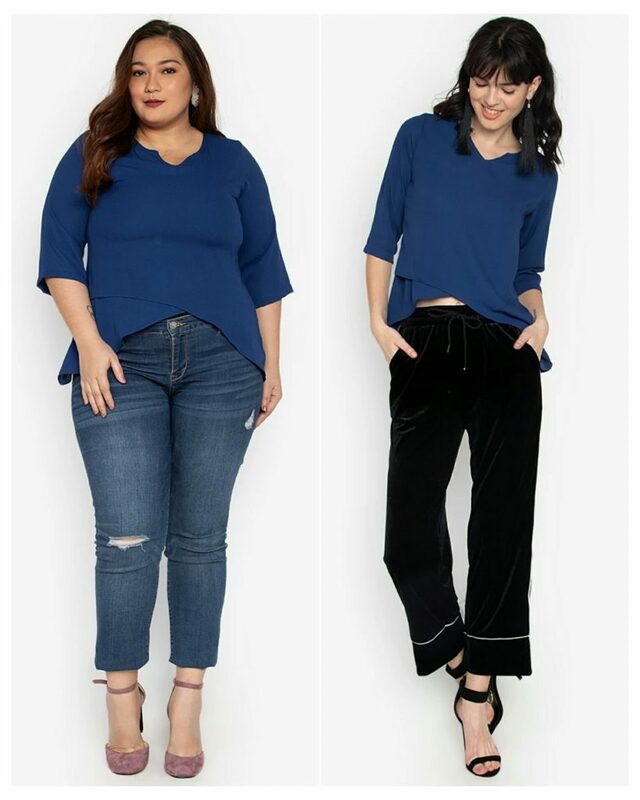 Entrepreneur Kareen Co’s Raven Cross brand was born out of frustration in looking for fashionable yet affordable options for curvy sized women in today’s market. With over seven years of working a corporate position at a multinational firm, she quit her job, and took a leap of faith in opening her own fashion line from the ground up. Five years later, Raven Cross was born. 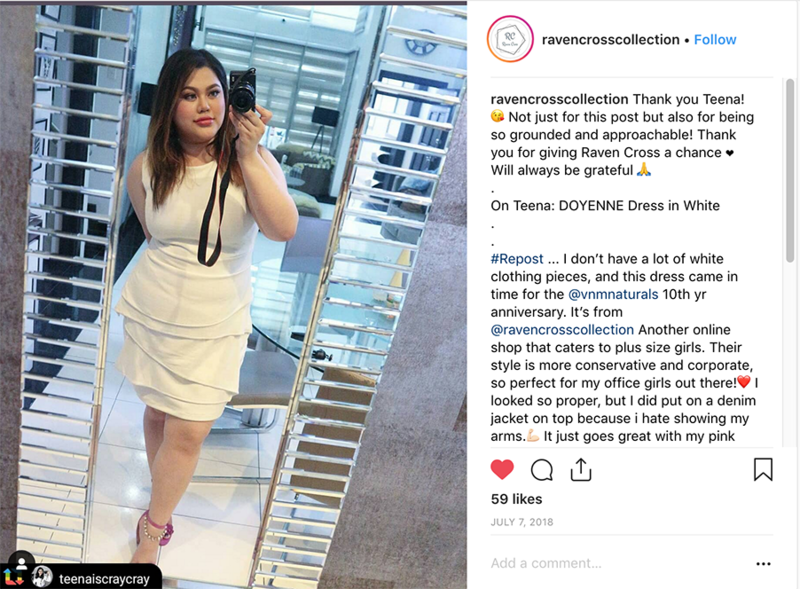 Raven Cross officially opened its e-commerce store last year via Zalora, Instagram and Facebook. While the brand is gaining ground and building awareness using social media marketing, owner Kareen credits the success of her brand to pure hardwork and accountability. Learning about the lack of affordable and trendy apparel in the market, Kareen decided to produce these items herself, by hiring local seamstresses, she can ensure the quality of each item before they go out to the “digital shelves”. Depending on the style, fabrics are either sourced locally or imported. The most important aspect of the brand though is the non-discriminatory sizes available for each and every item. To keep her operating expenses to a minimum, Kareen decided to go with ecommerce, either by selling on fashion platform Zalora, or via her Instagram and Facebook Page. To promote the brand, Kareen uses Instagram the most to post the newest designs and answer customer inquiries. She also reaches out to influencers by sending them PR packages in exchange of publicity for her brand. Apart from the fashion aspect of the brand, Kareen states that she aims to educate people about the “behind-the-scenes” of building a business from scratch. Despite the growing success of the brand, Kareen states that there are constant challenges that come up especially in dealing with personalization of their apparel. To grow the brand, Kareen plans on expanding the product lines and items that they carry, eventually moving from just apparel, to swimwear and accessories. As for having a physical store, she plans on joining bazaars so her loyal customers can come and fit the clothes, and if budget and demand permits, she would eventually want to be part of concept stores soon. 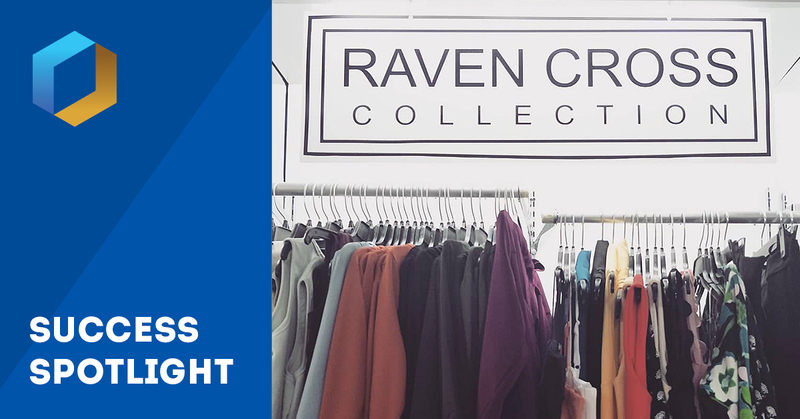 Despite all the challenges that Raven Cross has undergone, nothing brings satisfaction to founder Kareen Co, more than seeing the great feedback from her customers and the growing demand for the brand’s products. Indeed, the future looks bright for Raven Cross, and we are looking forward to seeing this brand cement its mark in the Philippine fashion industry. Q&A With Nikita Yu of Greatwork Global Greatwork is a shared workspace concept that focuses on a more wholistic approach to the work environment.